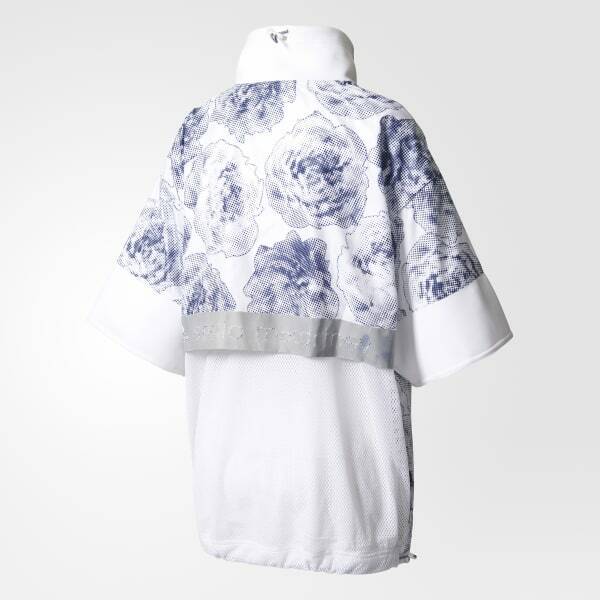 A protective running layer with florals by Stella McCartney. Adorned with Stella's beloved floral graphics, the adidas by Stella McCartney Run Floral Pull-On has a soft silhouette and is made of recycled fibers. 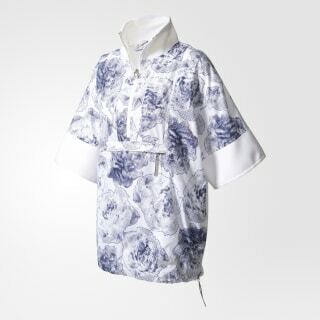 The oversize design mixes a breathable mesh layer with tough weather-shielding fabric to protect you from rain and wind. A reflective print on the back adds high-visibility style.